Welcome to our Barcrest software page where you will find a list of the UK’s best slots and casino sites that offer the amazing range of slots games developed by Barcrest. Originally a gambling terminal provider created in 1968, Barcrest has now built up over 50 years of experience in building great online slots and casino games, and is now considered one of the best in the industry. In 1998 it was acquired by another gaming giant, IGT, and then it was sold to Scientific Games in 2011 but it still has the same ethics and vision from the original Barcrest founders. They continually push the boundaries in the slots industry through the use of modern and advanced gaming technologies, which has enabled Barcrest to bring you some amazing games like Rainbow Riches and Spinata Grande. Did you know that Barcrest hide their logo in all of their slots games? 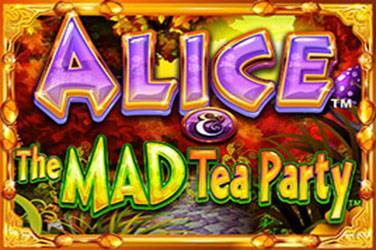 Keep an eye out for it whilst playing their awesome slots and casino games. Barcrest games are some of the best in the industry so now you just need to decide which of the great casino or slots sites listed below you will play them on? *18+ only. Non-funded players only. Offer valid until further notice. Min dep. £10. Max bonus £50. Withdrawal restrictions apply: wagering 40x Bonus & 40x Deposit. Wagering requirements vary by game. 10 Free Spins are credited within 10 minutes of the deposit. The remaining 90 Free Spins are credited in sets of 10 every 3 days. Free spin terms apply. T&Cs Apply. *18+ only. New customer offer. Please gamble responsibly. First 3 deposits only, Min deposit £10, Max bonus £500 and 100 spins on Cleopatra, Selected Slot games only, 30x wagering (dep + bonus), 5x conversion & T&Cs apply.